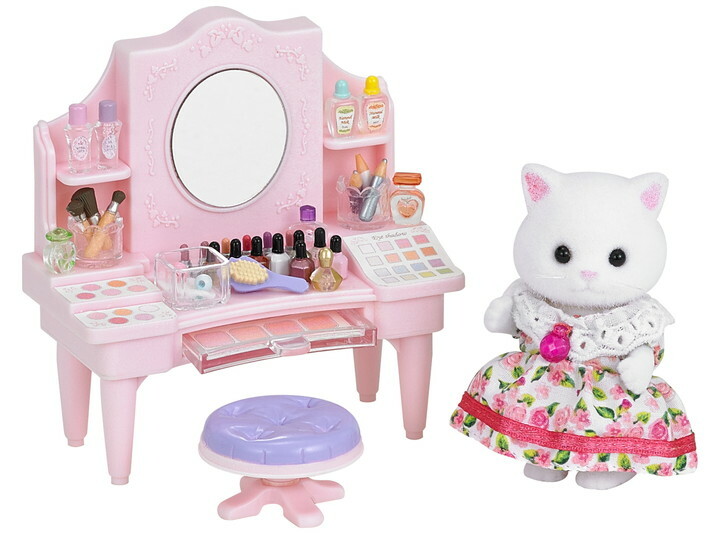 Sister Nora Teak is wearing her prettiest floral dress in this set which comes complete with a dressing table and an assortment of make up and lotions! 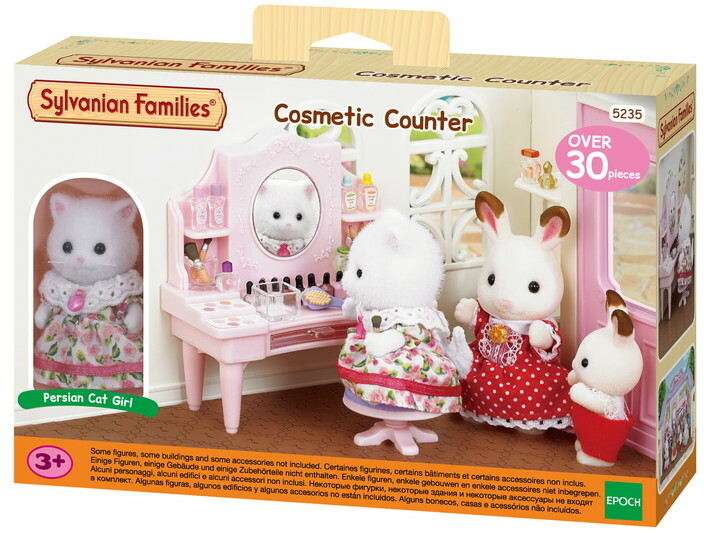 As well as a comb to brush her fur and perfume to spray, this set of delights also has all sorts of magical beauty lotions and potions. 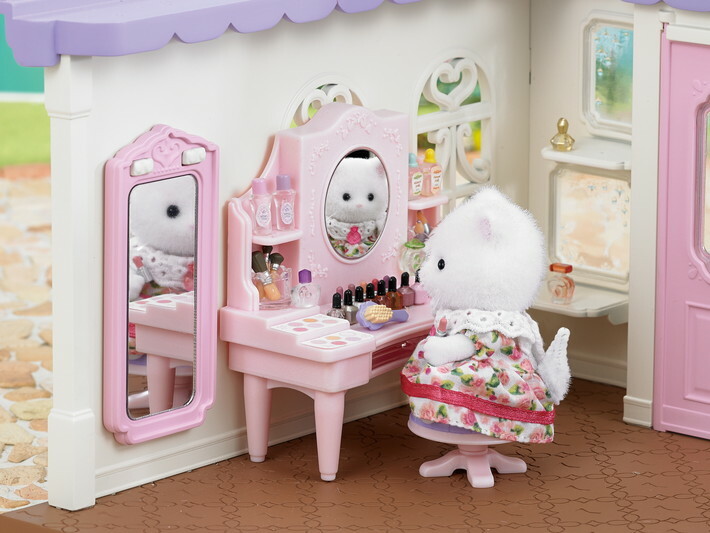 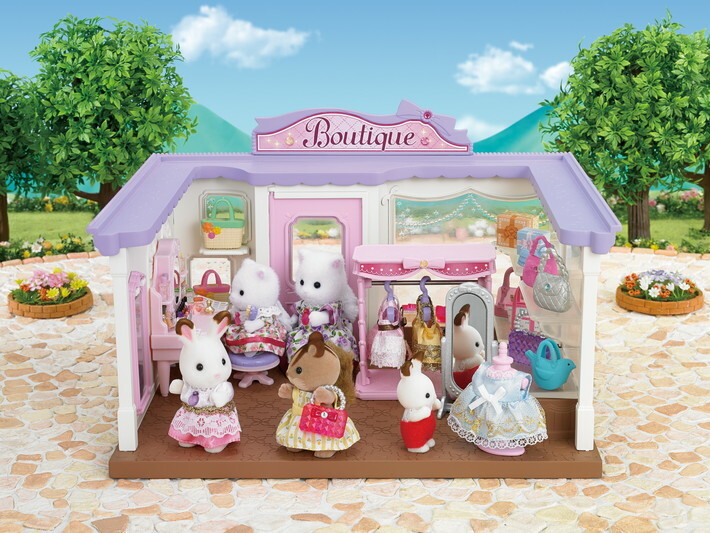 It's the little things that make Nora and her Sylvanian friends feel extra pretty.